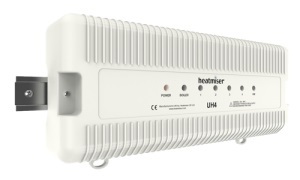 The Heatmiser UH8-N is designed to be used in conjunction with our 12v Network thermostats. 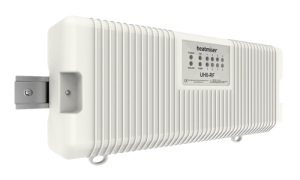 The UH8-N provides central switching and is therefore ideally situated next to the underfloor heating manifold. Eight zones can be controlled as well as providing an output for a hot water cylinder. On demand from any zone, a 230v output is provided to switch the relevant zone actuators, underfloor heating pump and valve. 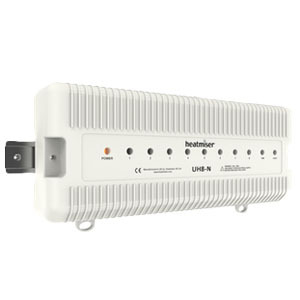 A volt free connection is supplied for boiler making it compatible with almost all boilers. Up to 6 actuators can be connected to each zone. An option is provided to turn the zone 8 into a radiator zone. In this mode the underfloor heating pump, valve and boiler are not enabled when there is a call for heat from zone 8.